Old Country Buffet is an American casual dining restaurant that offers various dishes including soups, entrées, carved meats, tantalizing side dishes, fresh baked bread and more. Perfect salads are a snap with Old Country Buffet. They offer a varied selection of fresh ingredients, so you can create your own. Old Country Buffet also offers per season specialties and freshly-made desserts. Old Country Buffet provides a family-friendly atmosphere to meet for a meal. All locations are open for breakfast, lunch, and dinner. No reservations are required unless you are dining as a group or large tour. Below are the latest Old Country Buffet menu prices. Limit is two kids per regular priced adult dinner purchase, kids being defined as 11 years old or younger. Be the first to crave Old Country Buffet. Sign up for the exclusive Old Country Buffet email newsletter and begin receiving exclusive discounts, offers and unique deals delivered directly to you via email. Sign up today. Old Country Buffet is a proud supporter of the military. Through the Military Mondays program, U.S.Military Service members (active, reserve, or veteran) and their immediate family receive special discounts. Get details online or ask your server for more details. With a one-of-a-kind gift card from Old Country Buffet, guests make it simple to give the gift of food variety. Gift card recipients can enjoy a variety of food choices at Old Country Buffet to meet their specific tastes. Gift Cards can be purchased online and sent directly to the recipient via snail mail. Guests can even include a personal greeting with each gift card. Old Country Buffet can accommodate large groups or tours with ease. Whether guests are planning a birthday party or team meeting, Old Country Buffet can handle it. Old Country Buffet is the perfect spot for large parties with varying appetites. With a large selection of food options plus a welcoming atmosphere, Old Country Buffet is the perfect spot to gather, eat, and enjoy. Old Country Buffet makes it simple for guests to get the nutritional and allergen information of the food items on the buffet table. Complete nutritional values can also be found online at the official Old Country Buffet web page. For diners with restrictive diets, Old Country Buffet offers different suggestions on which food items to choose. Options include low carbohydrate choices, low-fat selections, and diabetic info. Check out the website before you head to Old Country Buffet. Old Country Buffet is interested in adding motivated, talented and diverse individuals that want to provide top-notch customer service and build a rewarding career in the restaurant industry. Learn about Old Country Buffet and its parent company by visiting the official website. While there, future team members can learn about life as a crew member, manager or corporate support. Be sure to browse the list of current openings. Old Country Buffet was started in 1983 by Roe Hatlan. In 1996 Old Country Buffet merged with Hometown Buffet. Today, Old Country Buffet is part of Ovation Brands. Ovation Brands is headquartered in Greer, SC. 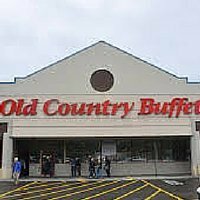 Today there are more than 300 Old Country Buffet locations throughout the United States. Other Ovation Brands buffet concepts include Hometown Buffet and Ryan’s. To learn more about Old Country Buffet, visit their official website. I was not happy with how expensive my meal was and the food not so much. Here are the prices and times Bob wanted. Please let me know what you would like to do. There are 7 of us, the 4 younger children are 4. 5, 6 and 10. Joe’s step son is 5 also. Then there is is Joe and his wife, Sharelle and her fiance’, Marcos. I van help pay for dinner so just let me know what works for all of you. Do We Need An Adult To Eat ? . Food was OK. Sometimes better than others. You get what you pay for. If you want a nice ” expensive meal” go someplace else. Prices are very reasonable for all the variety and the staff is usually nice about everything. If your food is cold just explain that to a manager and they would be more than happy to replace it. As for your money back you paid for it so you eat it. If you won’t eat it than oh well i guess than you shouldn’t have gone their in the first place. I’m not saying it’s the best food in the world but what do you think you get for $12 a meal. You get what you pay for and if you don’t want to pay 2.50 for a drink than just be happy with water.